New van-based Citroen Space Tourer. 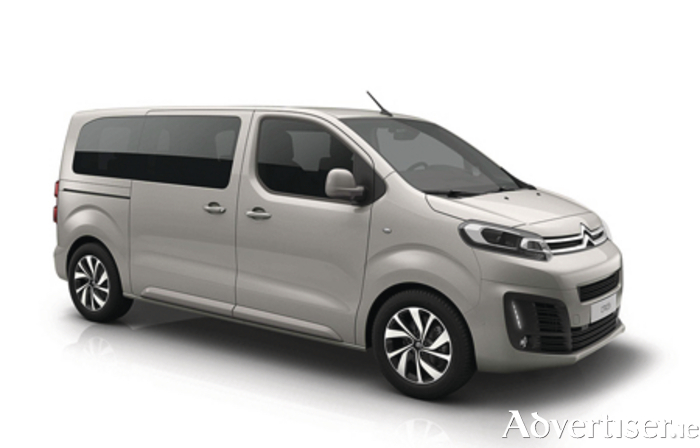 The Citroen SpaceTourer, Peugeot Traveller, and Toyota ProAce are the MPV and shuttle versions of new vans that on the way during 2016. Both companies therefore confirm the continuation of their co-operation agreement signed in 2012. The three vehicles will be launched in the first half of 2016 and will be present on the respective stands of the three brands at the Geneva Motor Show in March 2016. “We are delighted to present today these three new vehicles, the result of the co-operation with Toyota Motor Europe. This agreement has enabled us to develop a new and efficient vehicle platform, offering our customers around the world modern products which are particularly competitive in their segment,” said Patrice Lucas, PSA Peugeot Citroën head of programme and strategy. Since 2013, the first Toyota Proace vehicles were based on the current generation Peugeot Expert and Citroen Dispatch vehicles. Previously, Fiat had partnered in the Sevel arrangement with PSA. It was agreed at the start of the new collaboration between PSA and Toyota in 2012 that the companies would work together on next generation vehicles and that the collaboration would last beyond 2020. The aim of the collaboration is for both companies to be able to offer a competitive product in the mid-size, light commercial vehicle, shuttle and Combi segments and benefit from development and production cost optimisation. The vehicles are produced at PSA Peugeot Citroën’s plant of Sevelnord, in Valenciennes, France. Toyota Motor Europe participated fully in the development and contributed to the industrial investment costs for the new vehicles. The vehicles share all technical features, powertrains and equipment and propose a distinctive styling rooted in each of the brand’s design language.